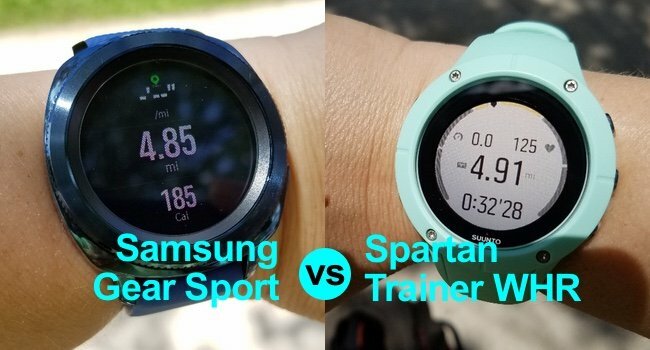 I got out this afternoon to test out the GPS accuracy of the Samsung Gear Sport versus the Suunto Spartan Trainer WHR. 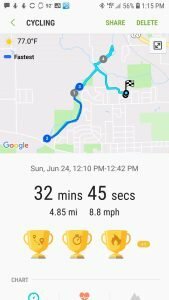 I compared the results of both against a handheld GPS unit and a map measuring tool, since my GPS unit gave me quite a different result than both the Gear Sport and Suunto. 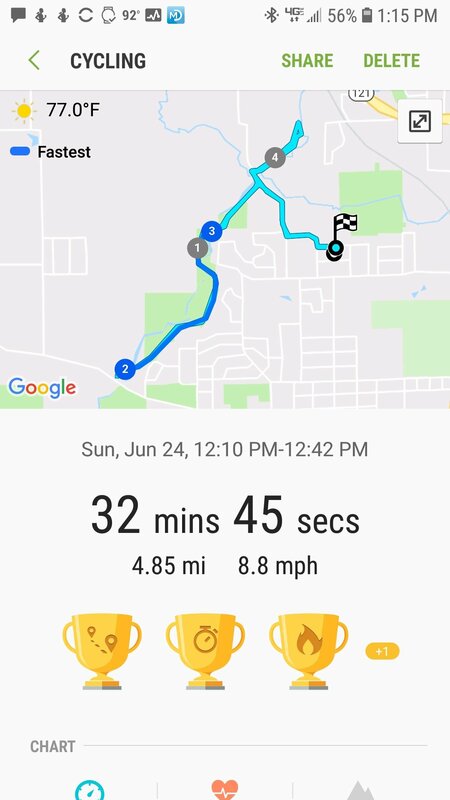 This was a bike ride in a residential area along some streets and along a paved bike path with some elevation changes through some heavily forested areas and more open landscapes. A table below shows the estimates of each device for the ride. I have a good idea why the handheld GPS did so poorly since I did have it in a bike bag next to a large metal buckle. 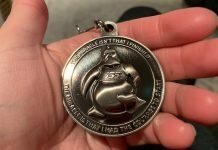 I had a feeling that would be a problem so I’ll have to find a better way to carry it on the bike. 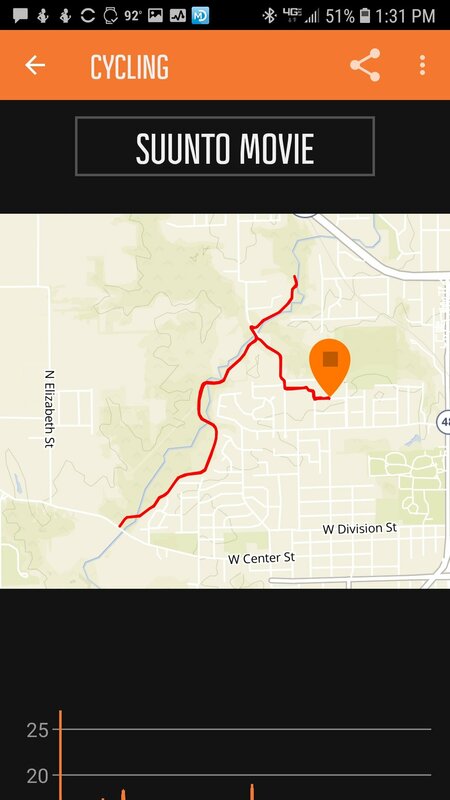 At any rate, I think I can safely toss out its’ 6.06 mi estimate as being inaccurate. To be sure the handheld GPS estimate was truly off, I measured the route using a map distance measuring tool I used in college quite a bit for my natural resource studies. It gave me pretty much the same estimate as both the Gear Sport and Spartan Trainer WHR gave me. Really, I’m surprised at how close the three were. I’ve always considered my trusty Suunto Spartan Trainer WHR available on Amazon as my most accurate GPS watch. But hey! 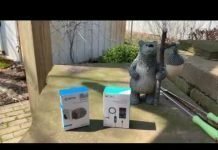 I’m going to have to give a shout out to the Samsung Gear Sport’s performance too. It did great! 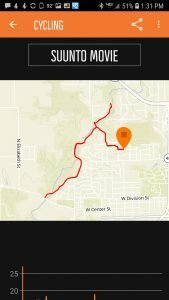 The GPS on it has really seemed to have improved over the past several months. The Gear Sport available on Amazon has three different options for GPS. You can choose to use your phone’s GPS as a connected GPS device, your phone and the Gear Sport’s built-in GPS together, or the built-in GPS of the Gear Sport by itself. I chose the last one and was only using the built-in GPS. 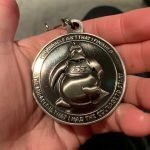 As far as the other metrics go… I wasn’t wearing a chest heart rate monitor to test the heart rate but I’ll do that test next and add the results here in the next couple of days. 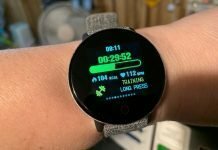 However, from tests I’ve done in the past the Gear Sport has outperformed the Suunto for heart rate accuracy but the Spartan Trainer WHR’s has received several firmware updates since those tests so I want to test the heart rate accuracy of it again and see if there’s any improvements. 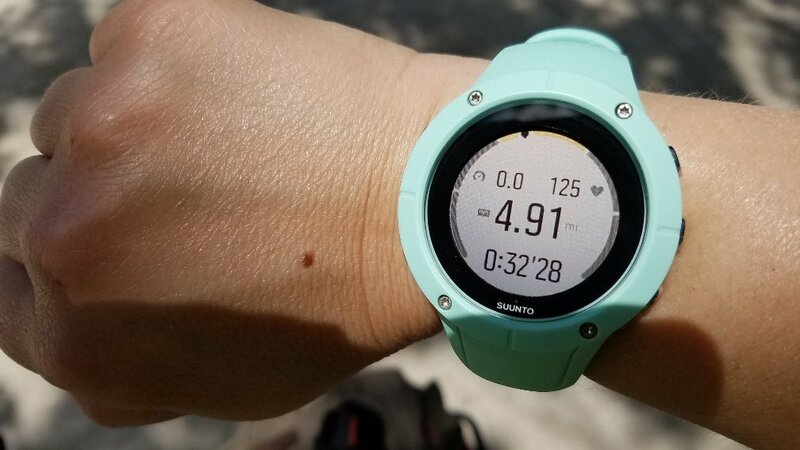 For the elevation estimates, the Suunto was the closest to the highest elevation, as determined on a map but the Gear Sport was much closer to the correct lowest elevation. 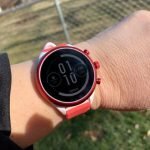 Looking at the margin of error for both, the Gear Sport outperformed the Suunto. The Gear Sport does have an on-board barometer to measure altitude and in other tests I’ve found it to be fairly accurate. It’s never been ridiculously off and it does have a storm alert feature. 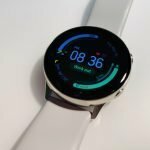 You can choose to have the watch alert you when the sensor detects that atmospheric pressure has fallen quickly over a short period of time indicating a possible impending storm. That’s come in handy for me more than once. The Spartan Trainer WHR uses GPS to determine altitude. It isn’t equipped with a barometric sensor. 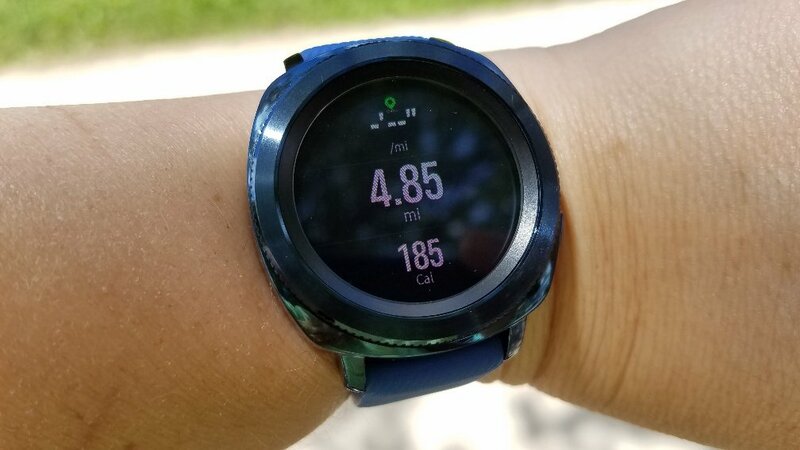 All in all, I have to say that I’m happy with the GPS performance of both watches but I would also have to say that for bike riding I’d go with the Suunto because of its transflective screen.Like Garmin’s GPS watches, Suunto also uses screens that are very readable in bright sunlight. I could read the screen on the Gear Sport but I had to take my eyes off of the road or trail longer than I felt comfortable doing. With the Suunto, all I had to do was glance down at my wrist on the handlebar grip and see the data. The Spartan Trainer WHR also uses buttons to navigate through its screens which are much more practical when you’re on a bike, although I could use the rotating bezel of the Gear Sport to switch easily between screens as well. 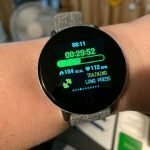 This review just focused on the GPS performance of both watches primarily and how I felt they did on a bike ride. Check back for more details because I’ll be adding heart rate tests results. Until then, you can check out the reviews for both but both of those are being updating since it’s been a few month and there’s been quite a few firmware updates for both watches since I first wrote those reviews. 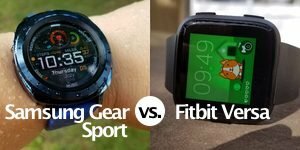 You can also see how the Gear Sport compared versus the Fitbit Versa. 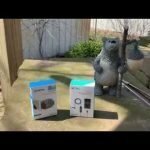 This is a newer review. 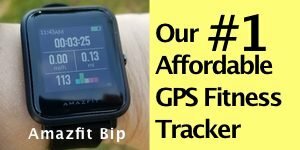 Previous articleAre Fitness Trackers Worth It?